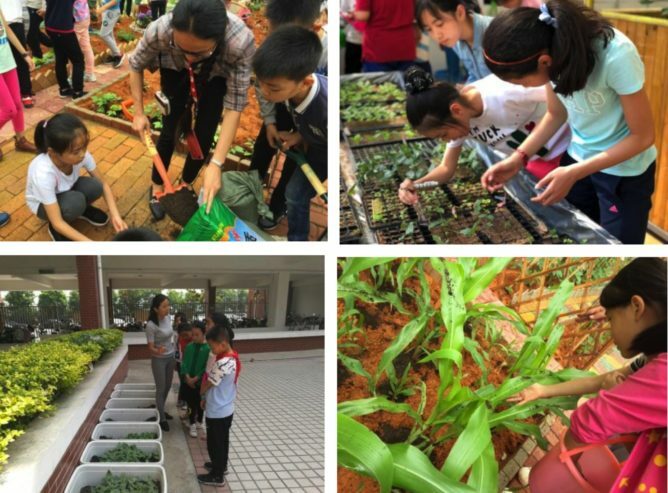 GoalBlue has recently completed a national expansion of “Nurseries for Nurseries,” a unique program to grow vegetable gardens in kindergartens and primary schools in China. Its objective is to teach children how to cultivate plants from seeds and take care of a garden, thus increasing their awareness of nature, the environment, and the importance of healthy, low-carbon eating. The project aims to influence the youngest students in China. It is a strategic initiative based on GoalBlue research showing that the tastes of children are a significant driver of family food purchasing decisions in China’s largest cities. By reaching children at a young age and shaping their taste for plant-based food, GoalBlue hopes to create both an immediate shift in household food consumption and a longer-term trend in the rising generation. At present, 70 schools are participating in 8 provinces. Participants receive technical support and provide updates and progress reports through the social media channel WeChat.